A great way to display your rehearsal dinner photos, is in a mini album. October is the essential fall month. It's when the leaves are at their peak of changing from greens to oranges, reds, and yellows. Engagements are a celebration of the future. 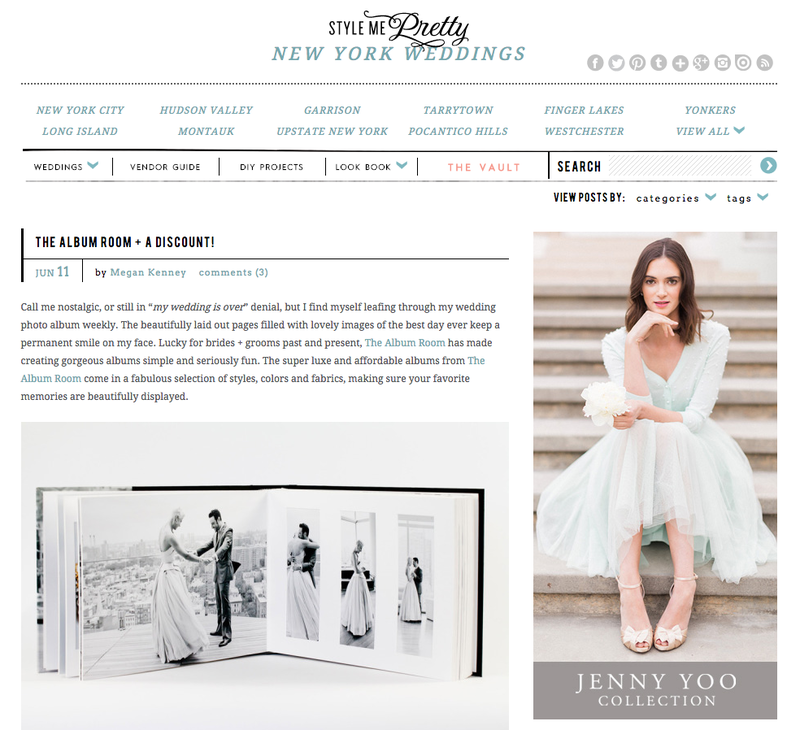 Today we are featured on one of our favorite blogs, Style Me Pretty! In this week's post Style Me Pretty talks about how beautiful albums of your favorite day will keep you smiling. At The Album Room there are styles and options for everyone. With us you can customize your album so it ends up as specials as your big day was. SMP also shares the great advice and tips that we provide right here on our blog! Take a look at the post.. You'll find gorgeous images, fun information, and maybe even a little discount. Enjoy!